Hyperwolf Mk. 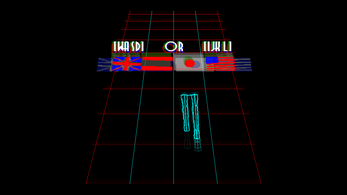 II: Kage no Violence is an endless runner with 80's inspired pseudo-vector graphics. 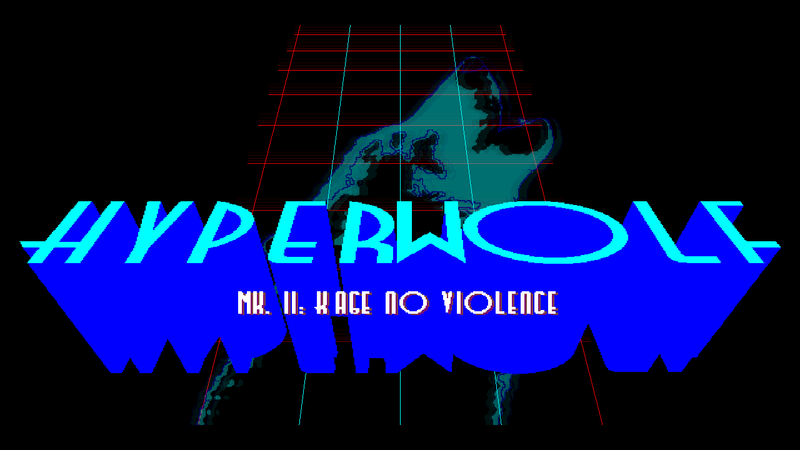 Hyperwolf, a sentient pair of mechapants, must keep the world from breaking into World War III looming on the horizon. 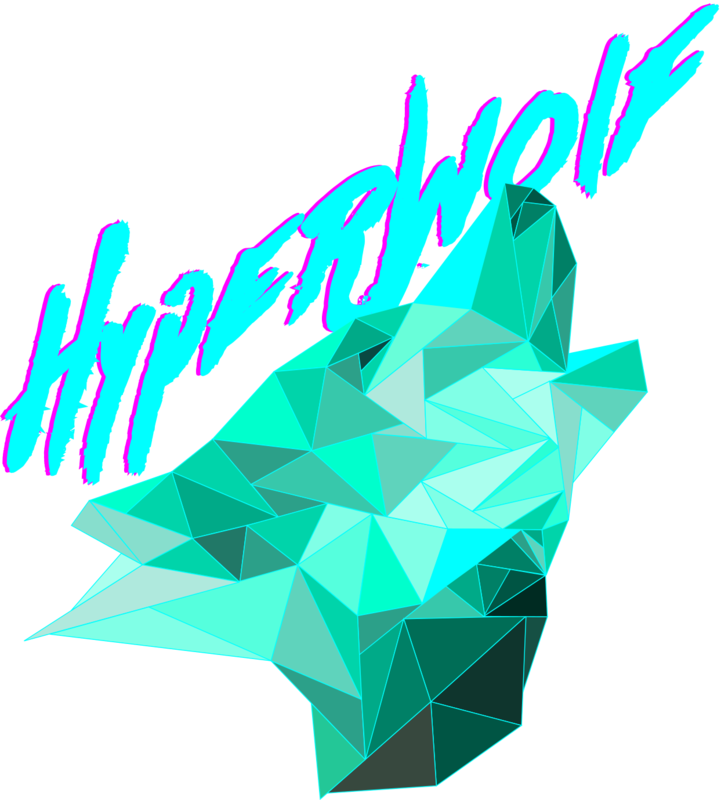 Hyperwolf accomplishes this by running at the speed of light perpendicular to the planet's rotational axis, freezing the spheroid's temporal reference frame. 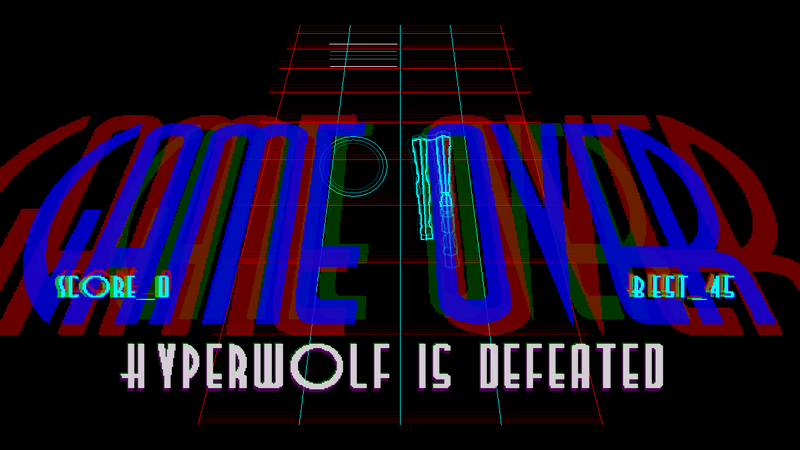 No matter what, Hyperwolf must keep running to keep at bay the Shadow of War. 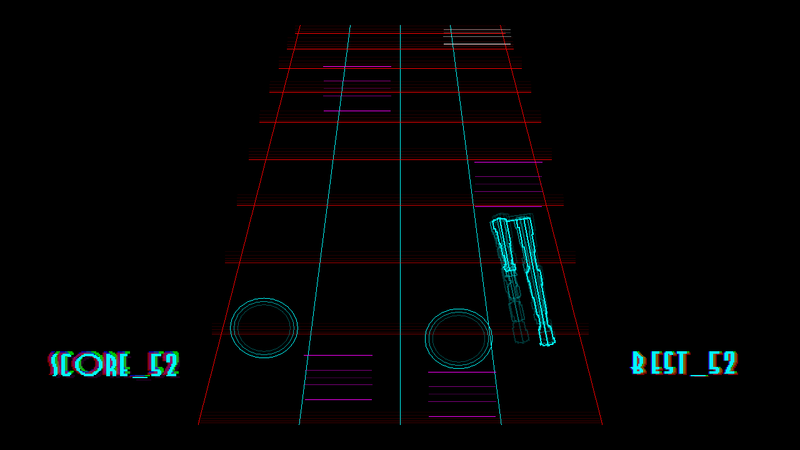 The game boasts 4 language options, 2 keyboard configurations and 2 original music tracks. Besides the game are also available the source files (bundled) and the soundtrack (seperately). 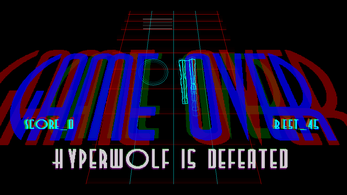 The downloadable zip archive includes the game executable ("Hyperwolf_Alpha1-0-3.exe") as well as game source and readme files. To play, unzip the archive to a new folder and run the exe-file. The game requires no contingent files.